The afternoon of 8th of September witnessed a unique event, Gamer Rebellion Xpress, in D block Auditorium. For the first time, University School of Studies became the venue for a very special demonstration powered by Advanced Micro Devices (AMD) and co-hosted by Gaming Cental, InfoXpression '16 (Annual technical fest of USICT) and G2A.com. A while ago, virtual reality headsets along with all their applications and utilities were considered novelties, and only a few could actually afford the minimum hardware in order to utilise the concept fruitfully. However, the latest innovation by AMD, the Radeon RX 480 graphics card seeks to change that. This game changer on the market is a powerhouse on the budget. Packing 8 GB of DDR5 RAM, this card is optimised for DirectX12, and can support full 4K resolution and Virtual reality rendering. The event unfolded with a quick introduction on the card, following which, the winner of a gaming competition previously organised by Gaming Central, was awarded with the AMD virtual reality headset. The usage of the card was demonstrated in a gaming PC, with the audience being quizzed on gaming trivia. Winners were presented with AMD memorabilia. An interactive session followed, in which audience members were invited to play a 'point and shoot' game using a virtual reality headset, powered by RX 480. Dhawal Babbar (USICT) scored the highest and was awarded with a dedicated gaming mouse. The event turned out to be a huge success with a throat- packed audience and mass participation. 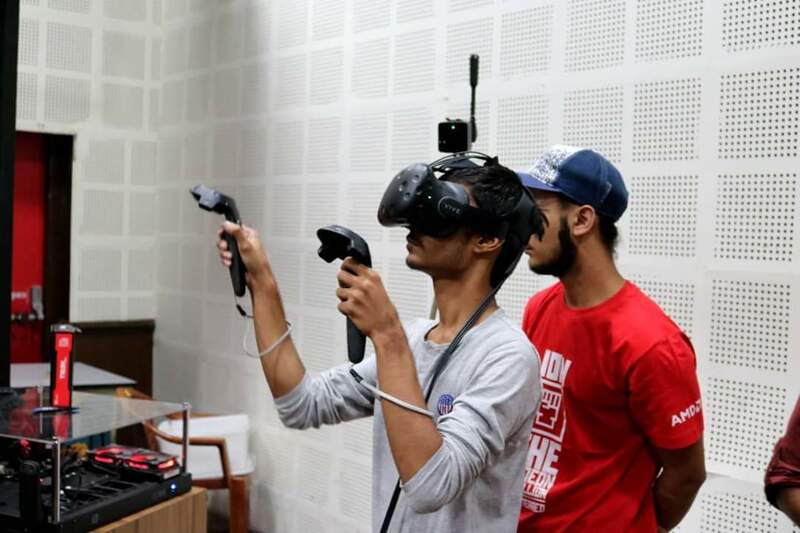 The student coordinator of InfoXpression, Sarthak Goel (USICT) said ,”As the event was aimed towards opening a new dimension in the field of gaming, looking at the number of participants and witnesses, we somehow feel we've successfully achieved the true meaning of 'Gamer Rebellion Xpress' (laughs). I heartily thank the hosts and all those who've worked day and night to make this event a huge success”.